Is there a more glamourous time of year than racing season? Throughout October and November, almost every weekend offers the opportunity to up the beauty stakes and don your favourite dress. For fashionistas and beauty addicts, there’s no better time of year. 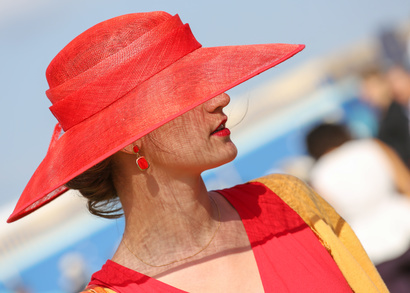 But with the bubbly popping as early as breakfast, a trip to the races can be a very long day and keeping your look fresh can be a challenge. The answer? Minis! Your top up tools of the trade small enough to fit within that oh-so-cute clutch. To accentuate the stunning outfit and flawless fascinator we’re sure you’ll be rocking on race day, you’re going to need a spring-ready makeup look. If the plan is to play up your eyes, why not guarantee that your carefully-created look stays in place all day? 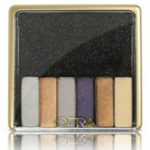 That’s where the iPalette Mini from OFRA steps in. Featuring six shades, which are interchangeable, it’s the perfect baby palette for your purse. One product every woman should have in her arsenal for a long day out is a setting spray. 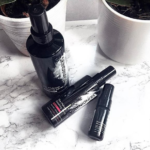 Just a few spritzes of Oil Control Finishing Spray from Skindianiva can give your face a refresh, allowing you to ward off heat and humidity and prevent against any unwanted slippage. After all, we’re sure most of us know the disastrous feeling when your foundation seems to have escaped, leaving you a cakey, patchy mess. Don’t let your locks get wild and unruly throughout your day at the races by ensuring you’ve got a brush packed and ready to go. 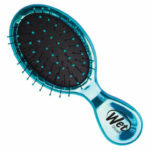 Thankfully, the Wet Brush Pro Lil Dazzler Hair Brush is both adorable and powerful. Not only will it neatly fit in your clutch, it’s bristle technology means you can use when wet without breakage or tearing. Twice the benefits for half the size! while we’re on the topic of hair – don’t let elaborate up-dos be your beauty downfall. There’s nothing worse than spending half your time holding up a fascinator because your hair style isn’t secured. Whether you’re going for a sleek ponytail, elegant up-style or flowing curls, one common product every racing Queen will need is hairspray. For one small enough to carry in you clutch, try the evo Helmut Extra Strong Hold in travel size. Although it’s not difficult to throw a full-sized lipstick in your bag, the smaller you go, the more room you have for the important things – like winning betting tickets! We’re loving Balm’s six-pack of minis. 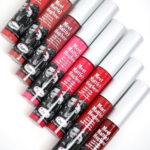 The Meet Matt(e) Hughes Mini Liquid Lipsticks Kit features half a dozen shades, which means one purchase has you covered for multiple outfits – and every girl deserves a reason to race more than once this season.